Crafted to artfully emulate the look of natural elements, this table uses superior man-made materials to add matchless durability and weather resistance. 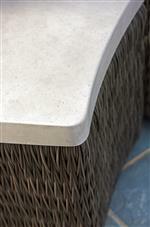 The Weatherstone top evokes honed limestone, while our hand-woven, all-weather wicker is almost indistinguishable from the real thing. The result is a casual chic piece of outdoor furnishings that is waterproof, stain-resistant, UV proof, and easy to clean. 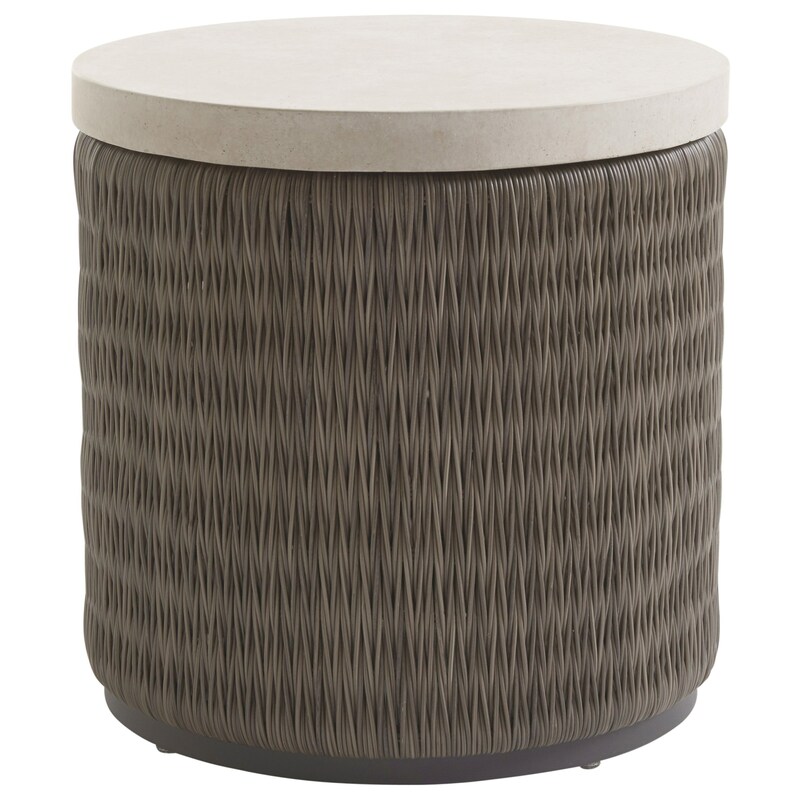 The Cypress Point Ocean Terrace Outdoor End Table by Tommy Bahama Outdoor Living at C. S. Wo & Sons Hawaii in the Hawaii, Honolulu, Oahu, Hawaiian Islands, Waikiki, Diamond Head, East Honolulu area. Product availability may vary. Contact us for the most current availability on this product.